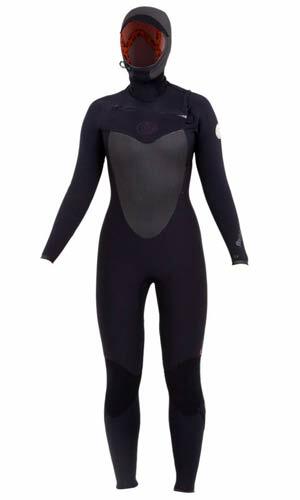 Looking for a solid women’s wetsuit that will keep you warm on the coldest winter days? We’ve rounded up the 7 Best Women’s Wetsuits for 2014, giving you the run down on the ins and outs of these cold water suits. Over the years women’s wetsuits have come a long way, and now nearly every brand out there offers a wide variety of hooded, and non-hooded options. If you are looking for a new wetsuit to take your mind off the cold and elevate your surfing to the next level this short list will no doubt point you in the right direction. The Roxy Cypher 5/4/3 Wetsuit features a chest zip entry to reduce water entering the suit as well as an external Hydrolock Seam Seal which fully seals and strengthens the seams. Too add to the warmth factor the Cypher is lined with a Bio Fleece Thermal layer that adds extra insulation. Top this off with the Fiberlite Neoprene and you’ve got a really great women’s wetsuit. For the fashion sensible this is also one of the most aesthetically pleasing suits we carry. You can tell Roxy went the extra mile with the design on this one. Coming in a tad bit under the $350 range, this suit has both value and style. The Rip Curl Women’s Flash Bomb has been wetsuit of the year for 3 Years running and if that doesn’t speak for itself then here is some food for thought. What makes this wetsuit so special is the Flash Dry Lining throughout the interior. Basically this stuff is about as comfortable as it gets and helps keep you insulated and warm. It also “dries in a flash” which can help when having multiple sessions in the same day. Get out of the water, turn it inside out and throw it over a log and by the time you’ve finished your powerbar the suit will be dry and ready for another session. This is a fully featured hooded chest zip wetsuit, with sealed AND taped seams as well as a smooth skin chest and back panel to block wind chill and absorb heat from the sun. Easily one of the best women’s wetsuits out there and for that reason it comes in at $440 and is worth every penny. 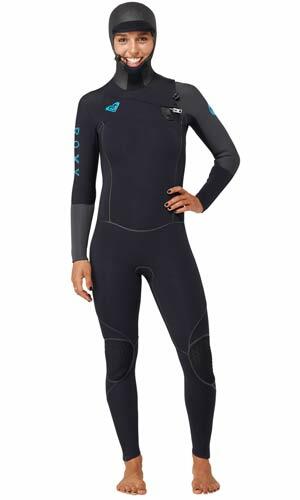 The Roxy Syncro 5/4/3 Wetsuit is included on this list because it is an entry level wetsuit with great value. For under $200 you get a wetsuit that can keep you warm in some pretty cold water. I would rate this suit down to 50 degrees as long as you have a good set of boots and gloves. What you don’t get is that extra warmth and longevity that the higher end suits on this list have due to the lack of sealed seams and internal insulating liners. Nevertheless for the $174.95 price tag you’re getting a suit that will take your mind off of the cold and let you focus on what matters when you’re out in the water, staying stoked. The Billabong Women’s Synergy Wetsuit is Billabong’s approach to the Dawn Patrol and the Syncro, but throws in a hood and a chest zip entry. If you’re looking for a hooded wetsuit then this is the best entry level option out there hand down. 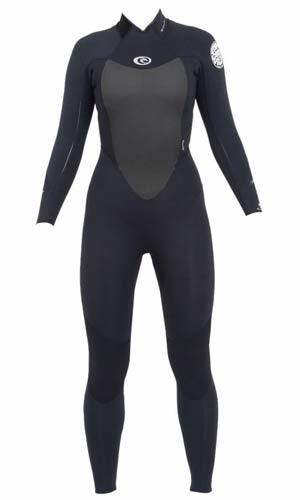 There just isn’t another women’s hooded chest zip wetsuit out there for $200. You could get a suit like the Roxy Syncro and buy a hood separately, which can be nice because you then have options, but if you’re going to be in water around the low 50’s then you’re probably going to be wearing a hood all the time, and an attached hood keeps water out better thus keeping you warmer. The Women’s D-Lux Mod from O’Neill is modeled after their Mutant Wetsuit series and features the versatility of a zip in hood that you can choose to wear on the really cold days, and not to wear on the warmer days. 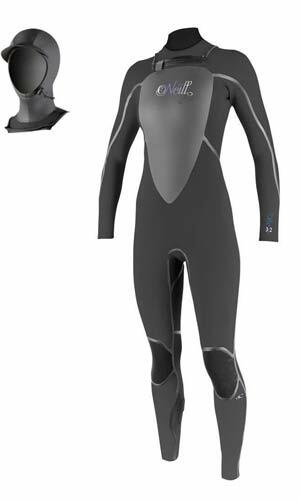 This is an awesome wetsuit and I would put it just below the Flash Bomb for warmth, but above the Cypher. The only thing the Mod is missing is an internal lining, but for some the added flexibility and lightness you get instead is a fair trade off. 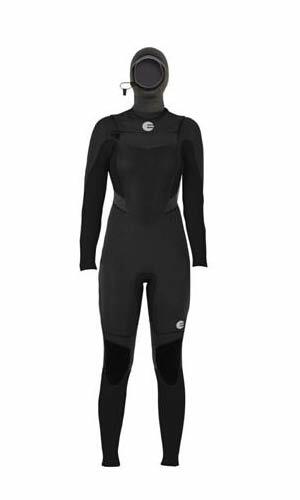 Topping the list of features off with fully sealed external seams, the $359.95 Mod is a versatile and high quality wetsuit from a great brand with over 50 years of wetsuit making experience. Patagonia may have joined the wetsuit game later than the rest of these manufactures with their Women’s R4 Wetsuit, however they offer something that no one else does. 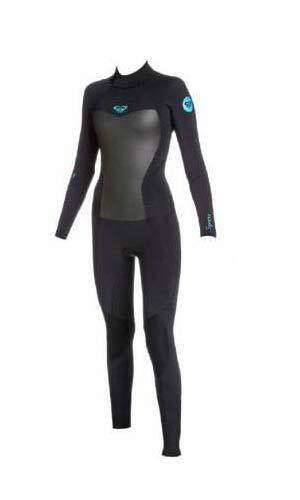 The warmest and most durable women’s wetsuit on the market. This suit will keep you toasty sub 45 degrees with it’s heavy weight merino wool lining and super wind proof limestone neoprene. If warmth is your main concern then look no further. If durability is your main concern, look no further. Patagonia’s quality is unmatched. If you’re looking for something super lightweight and flexible, then think twice about this suit as it leaves you wanting. The Women’s Dawn Patrol 5/3 Back Zip is an entry level suit with a lot of warmth. This suit features the ultra flexible and soft E4 Neoprene, and lots of it! 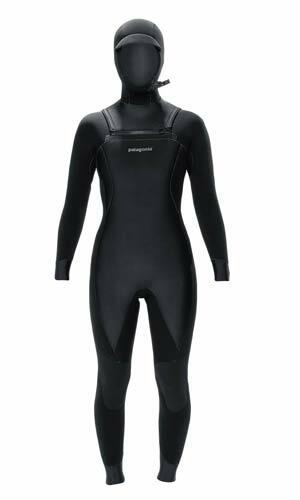 With 5mm neoprene throughout the body and legs you’ll stay warm in some extremely cold waters. 3mm neoprene in the arms allows for easy of movement and paddling. This is a critically taped, glued and blind stitched suit which gives you maximum durability at an affordable price. The Rip Curl Dawn Patrol for Women is an excellent choice for anyone on a budget. These are our top picks for 2014. If you want to browse our entire selection of wetsuits head over to the online store. Matt is our chief blogger here at Cleanline Surf. He has an extensive knowledge of wetsuits, surfboards, and other surf gear and rides the products he writes about. When he isn't blogging he's answering your questions on the phone, packing up your brand new suit, or out in the water testing new gear. This entry was posted in Wetsuit Reviews and tagged roxy wetsuits, surfing wetsuits, women's wetsuits by Matt Gabriel. Bookmark the permalink.